the fact that i have 5 different types of sunscreen in my medicine cabinet may indicate that i have a slight obsession. this sort of obsession carries over into my eye cream stash and moisturizers and concealers. i can justify these purchases because i wake up to different skin everyday. it’s a finicky and temperamental thing, this little epidermis of mine. i don’t know about you, but my skin changes with the season. in the winter, my cheeks are dry and my skin gets a little icky. in the summer, it gets oily and changes tint a bit. i need a range of products to deal with my schizophrenic outer layer. 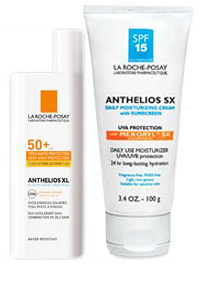 la roche posay's anthelios is my go-to in the winter. it's heavier, so it gives my skin a little moisture in the cold months. PCAskin hydrator plus SPF 25 - i use this in the springtime. my skin is usually on its best behavior and the sun's rays aren't shining down on me too much. no zinc oxide in this one. 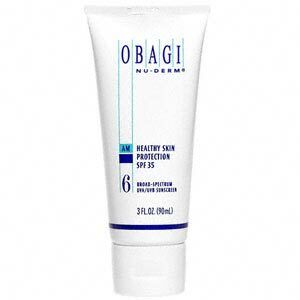 Obagi SPF 35 - the BEST sunscreen out there in my opinion. it has a good amount of zinc oxide, which a lot sunscreens are missing on the ingredient list. the zinc oxide makes it hard to blend, so beware - you may have splotches of white if you don't rub it in all the way.